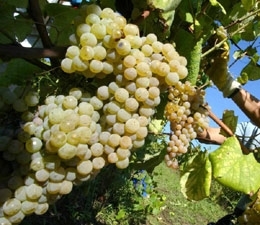 Yet Another Great Reason to Live and Drink in South Florida: Albariño in January! After listening to my best friend Syd recount the local snowfall amounts for the week in Beverly, MA I had to thank my lucky stars for the gorgeous weather we're having here in South Florida. So it got into the low 40's a few times and I actually had to put on a sweater last week - not a big deal relative to shoveling and snow-blowing! Practical issues aside, the gorgeous weather here also allows for a wider variety of wine choices, which can never be a bad thing as far as I can tell. Personally, I would find it a bit odd opening a crisp, cold bottle of rosé in front of a roaring fire while snow was falling outside. Au contraire here in Florida, where temperatures in the mid-50's are definitely open to interpretation. 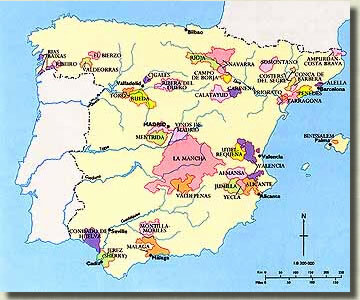 A fabulous wine to try here in the "dead of winter," or pretty much any time of the year, is Albariño. Martín Códax Rías Baixas Albariño 2009: crisp and dry with a nice acidity and flavors of lemon zest, pear and passion fruit $15. Vionta Rías Baixas Albariño 2009: citrus and lychee on the nose followed by pear and lemon on the palate and refreshing acidity $20. The Rías Baixas region is located in close proximity to the Atlantic Ocean and, not so coincidentally, Albariño pairs wonderfully with just about anything that comes out of it. I especially love it with Florida Stone Crabs which are in high season right now. This is really a delicious pairing which we are fortunate enough to enjoy until the end of Stone Crab season on May 15. So next time you're looking to roll with some white wine in the middle of January, pop on over to your local wine store and try a bottle of Albariño! I'd love to hear what you think. 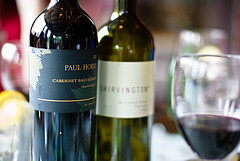 Paul Hobbs Wine Dinner at Market 17 this Thursday Night! For my latest New Times assignment, I had the pleasure of interviewing the owner of Market 17, a fabulous new restaurant in Ft. Lauderdale that is hosting a wine dinner this Thursday featuring world renowned winemaker Paul Hobbs as Guest of Honor. If you haven't heard of Paul Hobbs yet, you may recognize some names on his impressive resume which includes positions at Robert Mondavi and Opus One as well as consulting for prestigious labels such as Peter Michael, Lewis, Vine Cliff, Fisher, and Chalone. Lucky guests will enjoy a five-course menu prepared by Chef Daniel Ramos paired with selections from the Hobbs portfolio. Kirsta Grauberger, co-owner of Market 17 and sommelier in her own right, was kind enough to dish about the new restaurant as well as Thursday's event and give readers a sneak peek at the delicious menu. Please click here to read all the juicy details and, if you're fortunate enough to be in the neighborhood, don't miss out on this fabulous evening! What's The Most Unusual Thing You've Ever Eaten? Some, Ahem, Interesting Results! One of the things I love about about blogging is interacting with people who share similar passions, which, in my case, just happens to be food and wine. I recently posted the question on Facebook & Twitter, "What's the strangest or most unusual food you've ever eaten?" I should have braced myself for the responses! Most of the off-putting dishes seemed to originate in China with contributions from Scotland and New Zealand as well. The cultural differences around the world are truly fascinating, aren't they? Please visit me on Facebook and Twitter to join in future fun food and wine discussions! It's so interesting hearing everyone's responses. So, dear readers, what's the strangest or most unusual food you've ever eaten? Do tell - I look forward to hearing from you! A New Assignment and Interview with Chef Jamie DeRosa! I am happy to report, I recently started writing for The New Times, a weekly publication and daily news website here in sunny South Florida owned by Village Voice Media. 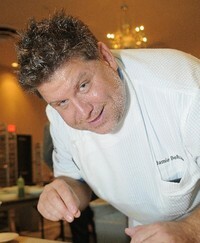 I'll be covering food and wine events in Broward and Palm Beach county for their Dining News blog, "Clean Plate Charlie." My first piece was an interview with Chef Jamie DeRosa of Atlantic Ocean Club and Buddha Sky Bar, a unique restaurant concept that will be opening in Delray Beach later this month. DeRosa has worked all over the world with many well known Chefs including Wolfgang Puck, Heston Blumenthal and Allen Susser. Needless to say, I was full of questions! The interview was posted in three installments including a recipe for the Chef's favorite drink, the Bourbon-based "Chef's Special." I have included the links here so please check it out! Raise your Glass to the Two Lucky Winners of the Waterford Crystal Giveaway! Happy New Year, Everyone! 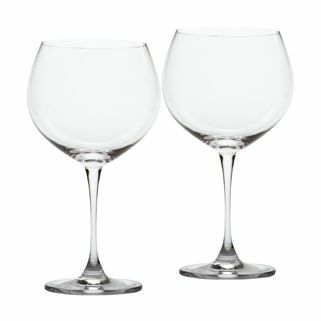 What better way to kick off 2011 than by giving away some fabulous Waterford Crystal? A big thank you to everyone who participated in my first giveaway - it was so fun reading about everyone's wine preferences. Another big thank you to Jorge Pérez, National Spokesperson for Waterford, who arranged for the fabulous glasses for this giveaway. 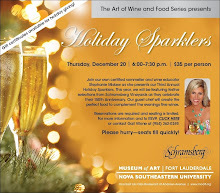 Each winner will receive a pair of Robert Mondavi by Waterford Crystal Chardonnay glasses with a retail value of $50! The Robert Mondavi Collection by Waterford features beautiful pieces of stemware and crystal inspired by legendary winemaker Robert Mondavi's intimate understanding of fine wine, and how best to enjoy it. Recognizing the distinctive characteristics of famous varieties of wine, stemware from the Mondavi collection is specifically designed to accentuate the complex characteristics and bring out the best of the wines they were named for. So without further ado, the time has come to select our lucky winners, chosen by random drawing. Our winners are (drumroll) Jean Tiernan and Me and My Pink Mixer - congratulations and I hope you enjoy your fabulous new glasses! I will be contacting you for shipping information. 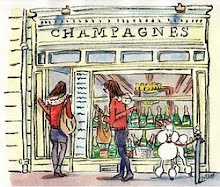 Thanks again to all who participated and Cheers to a fabulous 2011!